Light Image Resizer - программа для изменения размеров цифровых картинок и изображений в различных графических форматах. Поддерживается работа с файлами JPEG, GIF, BMP, TIFF, CR2, NEF и т.д. Также в утилите имеются возможности для компрессии файлов, конвертирования из одного формата в другой, экспорта и управления картинками. 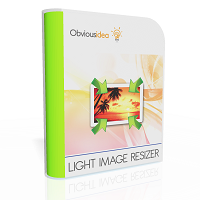 Light Image Resizer - Resize, compress, convert, and create copies of your pictures, High quality results with fast multi-core resize technology, Create and e-mail friendly images or use them for web publishing, Rename, sort or add a watermark to protect your pictures. Zoom Player - Компактный мультимедийный плеер, поддерживающий многие из аудио и видео-форматов DIVX, MP3, WMA, MPEG, ASF. Поддерживает плейлисты, управление горячими клавишами и из командной строки, полноэкранный режим работы, масштабирование широкоэкранного фильма для удаления полос снизу и сверху экрана, несколько видов представления интерфейса и его изменение с помощью скинов. With Zoom Player Home Professional, your Movies, TV shows and Music experience is the easiest, most customizable and powerful yet. Featuring such exclusive features as: Playlist Manager (Providing powerful playlist manipulation). Safety features (Password protected options dialog, DVD Parental control and Hidden navigation functions that modify files). Media Definitions (Save and Restore the current Aspect Ratio, Color levels, Volume level, Equalizer state and much more for every file played). 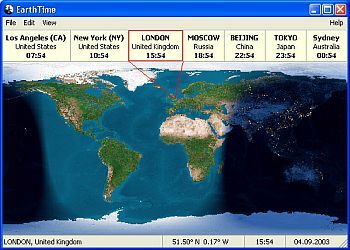 Web Remote (Control Zoom Player from your web browser). Extended command line interface, exposing many Zoom Player functions directly from the command line. Playback of DRM protected movies and music (Windows Media DRM). Supported OS: Windows XP, Windows Vista, Windows 7 and more. 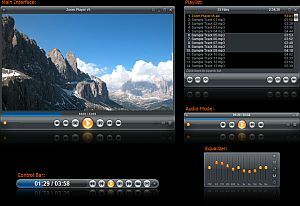 All popular formats are supported : H.264, XVID, DIVX, DVD, FLV, WMV, QuickTime, MPEG 1/2/4, MP3, AAC, DTS, Dolby Digital, FLAC and many more. Advanced System Care - программа, включающая в себя множество утилит для оптимизации, настройки и повышения производительности компьютеров, находящихся под управлением операционными системами Windows. 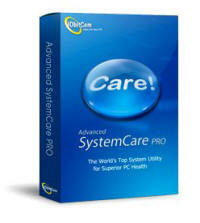 Advanced SystemCare Pro provides an always-on, automated, all-in-one PC Healthcare Service with anti-spyware, privacy protection, performance tune-ups, and system cleaning capabilities. This powerful and award-winning precision tool fixes stubborn errors, cleans out clutter, optimizes Internet and download speeds, ensures personal security, and maintains maximum computer performance automatically. Internet Download Manager – программа для закачивания файлов из Интернета. Различные методы ускорения загрузки, динамическая сегментация файлов, одновременное скачивание нескольких частей и многое другое. Internet Download Manager (IDM) is a tool to increase download speeds by up to 5 times, resume and schedule downloads. Comprehensive error recovery and resume capability will restart broken or interrupted downloads due to lost connections, network problems, computer shutdowns, or unexpected power outages. Simple graphic user interface makes IDM user friendly and easy to use.Internet Download Manager has a smart download logic accelerator that features intelligent dynamic file segmentation and safe multipart downloading technology to accelerate your downloads. WinTools.net - набор инструментов, предназначенный для повышения производительности операционной системы MS Windows и поддержания производительности на высоком уровне на протяжении всего эксплуатационного периода. Foobar2000 - очень удобный, и функциональный аудио-плеер под Windows. Он использует мало памяти и отлично справляется с огромными плейлистами. К нему уже написаны множество плагинов, расширяющих его функции. Плеер обеспечивает наилучшее качество звучания и поддержку почти всех известных форматов аудио. foobar2000 is an advanced freeware audio player for the Windows platform. Some of the basic features include full unicode support, ReplayGain support and native support for several popular auadio formats. O&O Defrag Professional Edition - Программа для дефрагментации дисков. Простой и понятный интерфейс, быстрота работы. Альтернативная замена стандартной Windows дефрагментации. Широкий спектр возможностей программы, позволяет дефрагментировать 5-ю различными способами. Defrag Pro's speed, flexibility, and ease of use combined with its unique ability to prevent data fragmentation answers every shortcoming. Fragmentation can cause your computer to slow down drastically. When saving data, the operating system scatters it all over the hard disk and this slows down the time needed for accessing files. To make sure you have the fastest access times possible, keep the data on your disks arranged in perfect order. O&O Defrag merges the individual fragments from files and then sorts all data into separate zones. To accomplish this, O&O Defrag gives you three new methods of defragmentation that combine perfectly with all its standard options. Syncovery - программное обеспечение, предназначенное для создания резервных копий данных и синхронизации ПК, ноутбуков, серверов и онлайновых хранилищ. Работает с локальными и сетевыми дисками, а так же любыми съемными носителями. Поддерживает FTP, SSH, HTTP, WebDAV, Amazon S3, и Google Docs. Позволяет при создании бэкапа воспользоваться ZIP-компрессией и шифрованием. Syncovery - Back up your data and synchronize PCs, Macs, servers, notebooks, and online storage space. You can set up as many different jobs as you need and run them manually or using the scheduler. Syncovery works with local hard drives, network drives and any other mounted volumes. In addition, it comes with support for FTP, SSH, HTTP, WebDAV, Amazon S3, and Google Docs. You can use ZIP compression and data encryption. On Windows, the scheduler can run as a service – without users having to log on. There are powerful synchronization modes, including Standard Copying, Exact Mirror, and SmartTracking. CDBurnerXP - программа для записи CD и DVD, Blu-Ray и HD-DVD дисков. Поддерживает запись и создание ISO-образов, имеет многоязычный интерфейс. CDBurnerXP is application to burn CDs and DVDs, including Blu-Ray and HD-DVDs. It also includes the feature to burn and create ISOs, as well as a multilanguage interface. Everyone, even companies, can use it for free. It does not include adware or similar malicious components. 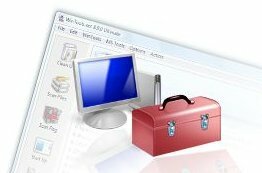 ADVANCED Codecs - Полный набор кодеков для Windows 7 / 8.1 / 10. Codecs have been a problem for most users at one time or another. This is because there has never been an 'out of the box' working solution that the average computer user could install and just have everything work properly from the beginning. There are several decent codec package solutions out there, but none of them did everything I wanted. I was always in need of a tweak, adjustment, or even a re-installation just to get the codecs I needed/wanted and most of the time, the file still didn't play properly. This frustration was the basis for me to begin making a codecpack that works with ALL players. 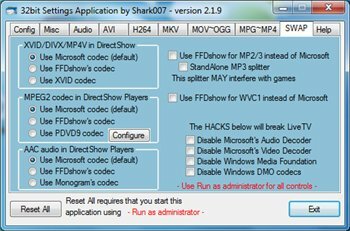 The installer will automatically remove most other popular codec releases from your computer before installing this concise yet comprehensive windows media center setup package. DVDFab - Программа для копирования DVD, с очень простым управлением. Умеет снимать защиту (CSS, Region Code, RCE, Macrovision, UOPs), а также позволяет, скопировать двухслойный диск на два однослойных. Chrome - быстрый бесплатный браузер. Google Chrome устанавливается за секунды и запускается молниеносно. Быстрый запуск - Google Chrome запускается за доли секунды. Быстрая загрузка - Веб-страницы открываются мгновенно. Быстрый поиск - Поисковые запросы можно вводить прямо в адресной строке. Get a fast, free web browser. Chrome installs in seconds and starts up immediately. Fast start-up - Google Chrome launches immediately. Fast loading - Google Chrome loads websites quickly. 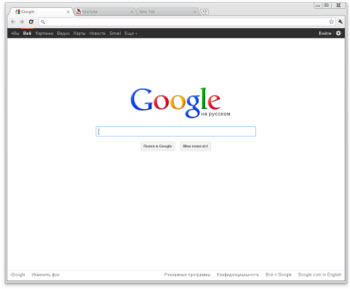 Fast search - Search the internet directly from the address bar. VueScan - программа для работы на сканерах HP, Minolta, Nikon, Polaroid, Epson, Canon и др. VueScan is a powerful, easy-to-use program that scans documents, photos and film; creates PDF, JPEG, TIFF and TXT files; supports more than 1850 scanners. Skype - программа для общения между пользователями Skype, а так же низкие цены на звонки на мобильные и стационарные телефоны по всему миру. Кроме этого программа позволяет общаться с помощью коротких текстовых сообщений. Skype is a little piece of software that lets you make free calls to anyone else on Skype, anywhere in the world. If you and your friends, family or business contacts are using webcams, you can also make free video calls. You can even call landlines and mobile phones at really cheap per minute rates. Universal Maps Downloader - Программа для загрузки частей спутниковых снимков-карт поверхности Земли c серверов Google, Yahoo или Microsoft, для дальнейшего их просмотра встроенным - Maps Viewer и "склеивания" в единое целое с помощью комбинатора - Maps Combiner. Universal Maps Downloader is a tool that help you to get small tile images from Google Maps, Yahoo maps, Bing maps, OpenStreet Maps. All downloaded small images are saved on the disk. 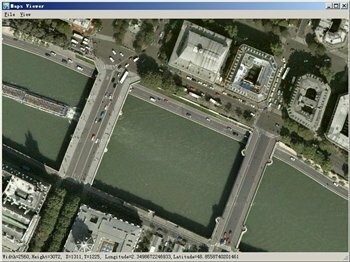 You can view downloaded maps by Maps Viewer Or you can combine them into a big BMP map by Maps Combiner. AutoRun Pro Enterprise - Программа для создания автозагрузочных меню, для ваших CD\DVD дисков. Обладает интерфейсом WYSIWYG, что значительно упростит создание и просмотр получившегося результата. AutoRun Pro Enterprise is a complete rapid application development (RAD) tool to create interactive multimedia applications for Windows - without programming. You don’t have to be a programmer, but with AutoRun Pro Enterprise you’ll feel like one. Even though it is very easy to learn and use, it has everything you need to develop professional software applications! Would you like to distribute your product or company presentation, electronic documentation or e-product(s) on a removable storage device such as a CD, DVD or USB stick? You can create autorun CD menu now and publish your presentations, documents, files and software,… on portable media such as CDs, DVDs and USB sticks. Using AutoRun Pro Enterprise you can create an attractive and professional CD menu for your CD or DVD and a front-end menu for your USB stick (USB flash drive). PhotoInstrument - Редактор для обработки портретов цифровых фотографий. Включает в себя инструменты для: ретуширования, удаления красных глаз, сглаживания морщин, увеличения чёткости, коррекции цвета и многое другое. PhotoInstrument is a powerful and easy-to-learn raster graphics editor used to process digital photographs. With only a few clicks, anyone can solve most digital photo problems: Photo Editing, Photo Retouch, Draw MakeUp, Make your photo look like it's taken by a professional photographer. If you ever wonder to touch up your photo, so you look more beautiful on your facebook or friendster or even on myspace, well this software is the answer to your question.